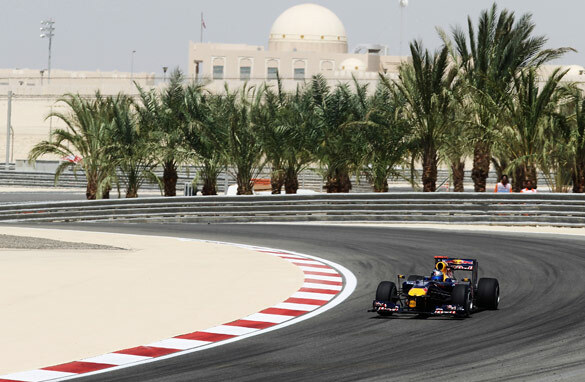 Should F1 take the risk of racing in Bahrain? The decision to take Formula One back to Bahrain this season has prompted a heated online debate, as more than 300,000 people signed an online petition calling for the race to be scrapped. My sources within F1 tell me that many of the drivers are ambivalent, but those with a strong opinion on such a controversial issue will only speak off the record. Webber has been the exception, and he could be risking his future in F1 by saying much more. At last week’s Formula One Teams Association (FOTA) meeting in Monaco, the teams made it clear that they were against a race in Bahrain. It’s now crunch time for FOTA and word from the sport’s top team, Red Bull, suggests that the teams could well oppose the decision. “We will go through the correct channels and discuss this decision within the appropriate forum with the other F1 teams and our fellow FOTA members,” read a statement. It doesn’t sound like champagne corks were being popped in Milton Keynes at the decision to race in Bahrain. Quite apart from the moral implications of traveling there and being seen to endorse a country with a questionable human rights record, the season will likely be extended until at least a week into December and there may very well be insurance concerns. One of the reasons the race was scrapped in March was because it could have been a magnet for violent protests. Bahrainis have been contacting the teams directly and asking them not to come. So is the situation much different now? Given that there may be legitimate concerns about the possibility of kidnap, injury, or worse, who will underwrite the teams to travel with their hundreds of employees and superstar drivers? Today’s decision has been long awaited. But it could just be the beginning and not the end of the story. it seems like money is going to crunch human rights, again, let´s hope the drivers and teams are more inteligent than the FIA. Don´t endorse a country´s goverment that has killed and imprisoned his own people. I am from bahrain, the only reason i may support,F1 grand prix to take place, is to let the press in. CNN reporter, Amber Lyon, wehn she came home she was mistreated, and been under custody for 6 hours! The has been really tough restrictions for media to come in bahrain and show the truth. But, today with the peacefull protesters back on roads, 2 has died after 3 days of martial law removal? 600++ are still behind prison bars, and civilians to stand infront of unfair millitary courts..
Back to sports, as a fact only 20 % of the bahrainis, are able to have a seat in the BIC, 10% of these, FREE TICKETS!! If they want to boycot races that take place in countries where the governments kill innocent individuals they should boycot the races in all NATO countries. F1 must not run in Bahrain, it will be hypocritical. The world needs to speak with one voice, we cannot fight in Libia and Syria, and support a regime like Bahrain, we cannot be two faced, and with "we" I refer to the world, not a specific country. People should behave according to their personal values. If F1 goes ahead with this race, it will speak volumes about what is most important to them – $$ over human rights. I've followed F1 for years, but if they go ahead with the Bahrain race, my F1 following days are over, that I promise. The brutal regime in Bahrain would receive precisely the wrong message if the race were to go ahead – safety issues aside, there are pressing ethical considerations here. I know that F1 is highly commercial – but to prop up such a brutal regime by going ahead with the race would be highly immoral, and there are things more important than money. Now F1 decided to go ahead with the race in Bahrain, I believe all the stakeholders (teams, sponsors, motors manufactures) are seriously damaging their brand by associating it with such brutal regime. They still have chance to boycott the race. Shame on you FOTA! What a decision? First of all we people of Bahrain should stand up and thank Mark Webber and others for showing sympothy and respect. The rest of you who supported the decision and will still come to race in Bahrain should know that on every meter you drive your car will over a Bahraini tortured and killed person and every dollar you spend will be a bullet to kill more innocent people. F1 only if you do not belive in human rights and only if you want to have your hands full of Bahraini kids and women blood then come to Bahrain and be part of disasters. We are innocent, peaceful people and our government cares for the F1 than its people's rights, dignity and lives. Oil & bribe give Qatar hosting World Cup. Oil & bribe return F1 to Bahrain. IF you have oil, you would buy all the west & even their Values which they proud of such Human Rights and Democracy. •Journalists,Teachers,Doctors are Tortured in Bahrain. •People are Killed in Custody. •Govt. bulldozed Shia mosques and prayer houses. •Finally,The government played the sectarian card. DON'T CARE FOR HUMAN RIGHT BECAUSE US SUPPORT !!!!!!! I will stick to nascar. I say bring F1 to Bahrain. Pro-reform protests were peaceful at start but then minority of militants funded by terrorists turned violent & hijacked the process. I expected opposition leaders to condemn the violent enforcement of blocking the main roads & hijacking other people's freedoms by trying to impose their own agendas through violent measures. The plan didn't work & now they're crying over split milk. Let us see how many of u who posted comments would tolerate violent protests for whatever cause that would lead to complete anarchy in your countries. You'd call for law & order to be enforced immediately & for those responsible to be punished within human rights & law boundaries. This is what is happening in Bahrain & my family & I had to live through this. We would have all benefited by now had the opposition been trusthful, peaceful & actually called for reform & more democracy but that was not the case. If the opposition has its way, we'd end up as a radical Islamist republic reporting to Hezbulla & Iran. Shame it had to go this way...bring F1 back to Bahrain & let law & order take its place. Little Bernie only cares about Money, Money MONEY, such a greedy creep no wonder his wife divorced him, he has no sense of humor. I will sign up for a petition to ban Bahrain. Since you, FOTA, FIA, F1 Teams show no shame, I will feel ashamed of you. I left out Bernie Ecclestone's name because he epitomizes greed anyway. My sincerest respects go to Mark Webber. the only driver with a real spine and a proper set of values and a sense of decency. I herewith end my 40+ years of interest in F1. I will also endeavor to not use product from sponsors like Shell, Acer, AMD, Pirelli, Mercedes-Benz, Ferrari, McLaren, Mobil 1, Hugo Boss, Johnnie Walker, Vodafone, Petronas, Deutsche Post (yes, I live in Germany), Red Bull, Total, Renault, Symantec, Cuervo Tequila, Siemens, Randstad, PDVSA, Venezuela Tourism, Oris, Ridge Solutions, Thomson Reuters, GAC and as many more that I can find. F1's greed overwhelms me. F1 should definitely return back to our Kingdom of Bahrain and we the citizens of Bahrain have welcomed and we thank the FIA for their decision to have the F1 Race in Bahrain in October 2011. Formula 1 sholdn't accept to go to hell. The muslin world can be very harmfull to ocident, the needs for oil doesn't justify to support people that violate human rights. F1's image is fading away, hopefully so money will do in the future, Mr. Ecclestone. If you like partying with murderers do it at your own. Bahrain Government is a dictator. it kills unarmed people of Bahrain becuase they asked for their human rights. people in Bahrain want freedom and they want to be respected. FOTA learn nothing from FIFA. It's so sad spirit of sport has been ruined by oil money. I despise all the ignorant people around here who have no idea what is going on in Bahrain, and just assume the regime is "tyranical" and doesn't respect human rights and all that crap. We, the true and actual people of Bahrain, respect the regime, respect the law and order that has been instated in our country, and WANT F1 to come back to save Bahrain's reputation in the international arena after those so-called "bahraini" opposition people who openly support Iran and openly admit that have totally screwed the country, caused anarchy, destroyed public property, killed policemen, and used Ambulances to transfer weapons and militants. F1, COME BACK TO BAHRAIN, WE WILL SHOW YOU THAT WE ARE SAFE, THAT OUR COUNTRY IS BACK TO NORMAL, and that all the problems were caused by infidels that have no allegiance to the country. Everyone, please understand, not all issues in the Arab world are the same. It's real ignorant comparing Bahrain to Libya or Syria or wherever, this is not the same case. It's hard to imagine that Mark Webber's comment stands alone, but F1 is, after all, a huge, multi-billion dollar global enterprise, whose stake-holders are bound together, beneath all the surface excitement and glitz, by legal contracts that all have force majeure clauses. A condition of such obvious danger and instability as currently obtains in Bahrain constitutes force majeure. Net/net: as and when Bahrain becomes a safe and secure environment for peaceful gatherings, the circus will surely return to town. Is this anything other than prudence? When the political freedoms and liberties of Bahrainis, purchased with blood and sacrifice, are sorted out, will the circus be relevant? That is for the survivors to decide. Isn't it? I am happy F1 accepted to be in Bahrain end of October. Although, I am not really a fan of F1 racing, been once only, I feel different people of the world visiting Bahrain, will hopefully make the world more peaceful and more love. Bahrain is a good place, but unfortunately some protestors and outsiders such as Mulaha Iran and Hezbullah like to see Bahrain similar to Iran and Iraq which now is becoming part of Iran. Thanks to the West for that. WHY NOBODY IS TAKING ABOUT THE NATO COUNTRIES??? OR ITS JUST FOR ARABIC COUNTRIES??? in the terrorsit events 20 had been killed half of this number is from police and you want to stop F1 for this!!!!!!! Bahrain will stay forever country of peace saftey and love! Most of these comments here can only be best described as what a load of Rubbish – If people are so concerned about sport v human rights why ARE there Races in India (Kashmir) Turkey(Kurds) In China(Tibet) In USA (Guantanomo, Drones, extra-judicial, killings, redition, Iraq Abulgarad etc etc) and so forth. I am a Bahraini and if it matters, a Shia. I mention that only because the world appears to want to rescue is from a dictatorship. Sorry to tell you, but please don't. We live in progressive, secular and tolerant country. Had it not been for the fabrication spread by the so called Bahrain Human Rights society I doubt few of you could find us on the map. Today, the UN issued a statement via Dr Navi Pillay, the UN commissioner for Human Rights. To quote her, Certain information which we received about the developments in Bahrain was untrue. She also acknowledged that the situation is by far different and incomparable to unrest in other countries. Had it not been for the fortitude and solidarity of the people of Bahrain and loyal foreign residents, we would today be living in the Islamic Republic of Bahrain. No thanks! Vive the Bahrain Grand Prix! F1 should not go to Bahrain. It's all about the money for Bernie. But it seems like there are a lot of people involved in F1 who don't think they should go. So hopefully they will win out, and F1 won't actually return to Bahrain. I watch all things F1. But I will boycott them if they continue down this path. They should do nothing that legitimizes the current regime. This is disgusting. if the race takes place, consider me a past fan of F1. I will never watch or attend another event. Allowing the race to proceed in Bahrain is tantamount to supporting the oppressive monarchial regime. This is all about money and is part of Eclestone's game. The F1 will not go to Bahrain this year and the decision will be retracted in a month or so under presure from the teams and sponsors. This initial decision was necesary to show that F1 is doing everything possible to hold the race. We are talking about a 50 million per year contract that most likely has some clauses that need to be ticked before the race can be cancelled. Bernie will go anywhere there is $$$ and that is what Bahrain is all about! Period! Bernie is extremely greedy. There is no way he would miss an opportunity to make a buck. if he doesn't allow Bahrain a makeup date there are millions in fees he might have to return. "Quite apart from the moral implications of traveling there and being seen to endorse a country with a questionable human rights record...."
Really? Wasn't a Grand Prix races held in China? That's such a lame statement. FIA is going down the same slippery slope as FIFA – they are losing touch with reality and frankly have lost all credibility. It is simply outrageous that the sports governing body is intent on taking a race to Bahrain given its recent brutal crackdown sponsored by Saudi Arabia – as we speak there are dozens of medical personnel and doctors in court in Bahrain facing charges of aiding and abbeting attempts to bring down the government by treating victims of the regimes brutality in hospitals. F1 Teams should boycott this repugnant regime by refusing to go – anything less would simply be a vote of support for the deaths and outrageous abuses of human rights the people of Bahrain have suffered. Please F1 fans vote with your eyes and hands and turn off the race on your TV's if it happens. It is truly disgusting that FIA are even considering racing in Bahrain. DR, You missed Phil Hill Formula One Champion 1961 Ferrari. DR, You missed Phil Hill 1961 Formula One Champion (Ferrari). Don Riddell is an anchor and correspondent for ‘World Sport’, hosting the show from CNN’s world headquarters in Atlanta. Since joining CNN in 2002 he has traveled extensively; filing stories from dozens of different countries and interviewing many of the world’s top sports names including Tiger Woods, Roger Federer and Michael Schumacher. He covered Spain’s 2010 World Cup victory from Madrid and has broadcast live from the Ryder Cup, the Open Championship, the Rugby World Cup, the Tour de France, the Abu Dhabi Grand Prix and five consecutive Champions League finals.